This site was last modified: October 16 2017. 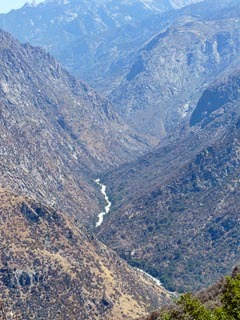 Kings Canyon National Park is not as well known as many of the other national parks in California. 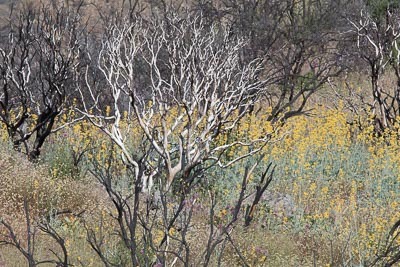 It is small and has a single short road inside the park. Plus when we were there in June 2016 some places were still closed due to damage from a fire in 2015. Even so we enjoyed or visit. We were lucky when we visited because the water flow in the rivers was at a 5 year high-- thanks to el nino. 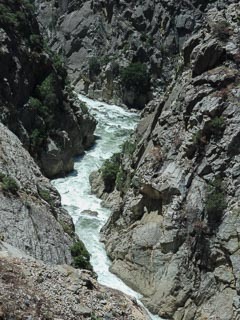 The Kings River flows through the canyon which is the second deepest canyon in the US. There is a lot of water flowing rapidly through the canyon. Obviously this is not a place to try white water kayaking. In fact you are not allowed to enterthe rive in the park. 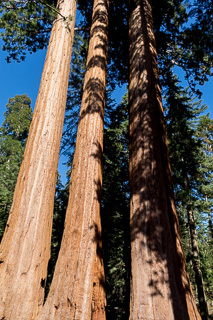 General Grant Grove of giant sequoia trees is one of the major features of Kings Canyon National Park. The General Grant Grove was established as its own national park in 1890 to protect the General Grant Tree and other giant sequia trees. 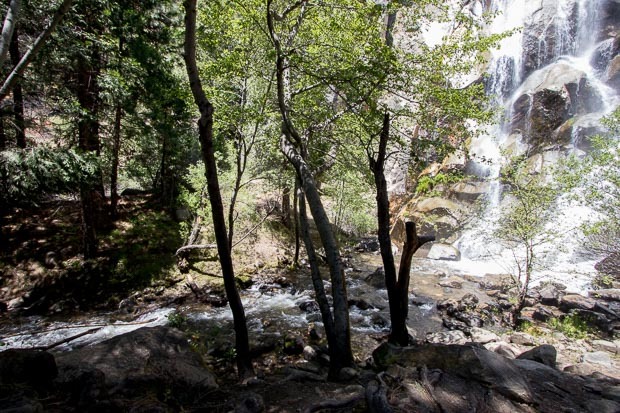 In 1940 congress created Kings Canyon National Park and incorporated General Grant National park into Kings Canyon National Park. Grant Grove is an impressive collection of giant sequia trees. The center piece of the grove is the General Grant Tree. 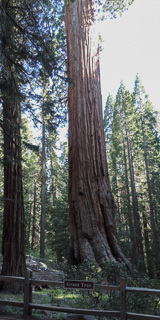 The General Grant Tree is the second largest tree in the world, the General Sherman Tree in Sequia National Park is the largest. The Grant tree is about 1,600 years old. At one time it was thought to be over 2,000 years old but recent estimates give it an age of over 1,600 years. The Grant Tree is often refered to as the nation's Christmas Tree. President Calvin Coolidge designated the General Grant as the Nation's Christmas Tree on April 28, 1926.